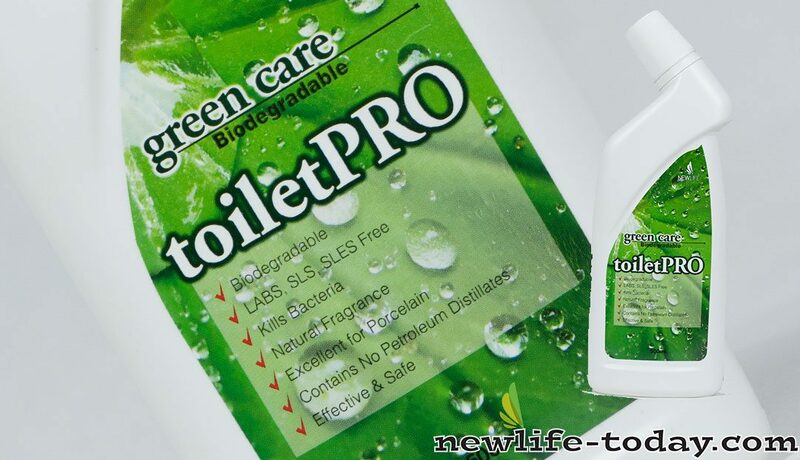 Buy this Green Care ToiletPro at RM 8.60 (20% off retail) when you become a member of NewLife International. toiletPRO is a powerful cleaning agent. It removes the toughest stains and disinfects as it cleans, leaving porcelain surface of toilet bowls, sinks, and tubs shiny and sparkling. It also deodorizes with a fresh fragrance of lemon. Squeeze toiletPRO directly onto toilet bowl, sink, or tub. Leave on for a few minutes and flush with water.